» We don’t sell or share your personal information with anyone. » We don’t store personal information on our website. Not selling your information. You have entrusted the National Council of Young Men’s Christian Associations of the United States of America and its independent and autonomous member associations (collectively “The Y”) with your personal information, and we’re committed to using it wisely. The Y will not sell, share or otherwise transfer your personal information to anyone without your consent. Please refer to this policy regularly. The Y may need to change this policy from time to time to address new issues and reflect changes on our websites or within YMCA branches. We will post material changes on our websites or otherwise notify you and update the “Last Date Updated” field in the “Revision History” at the bottom of this page so that you will always know our policies regarding what information we gather, how we might use that information, and whether we will disclose that information to anyone. This policy applies to the personal information that you provide to The Y, either through our websites and mobile applications or in person at a YMCA branch or program site. This policy does not apply to your use of unaffiliated sites to which our websites link. This policy does not apply to Personal Health Information (“PHI”) collected through the YMCA Diabetes Prevention Program or any other program offered by The Y that requires the collection of PHI or other HIPPA protected information. registration as a member of The Y. 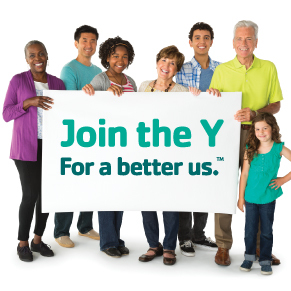 The Y may also collect your photograph, by capturing your image at a YMCA or scanning your personal identification card, for the purpose of identifying you as a member, volunteer or program participant. Your photograph will not be used for any commercial purpose without your authorization, and shall not be retained longer than three years from your last interaction with The Y. If you do provide us with PII, The Y may contact you based on the information you provide to communicate with you about YMCA activities that may be of interest to you and your family. The Y will use its best efforts to never disclose any PII about you to any third-party for purposes unrelated to the YMCA without having received your permission except as provided for herein or otherwise as permitted or required under applicable law. We do not rent or sell PII, including information provided about children, to third-parties. The Y may share PII with trusted service providers, such as payment processors, technology partners or other providers that need access to your information to provide operational or other support services while you are a YMCA member or program participant. In certain circumstances, we may also share information with select similar nonprofit organizations that may offer activities of interest to you. We may also provide PII to regulatory authorities and law enforcement officials in accordance with applicable law or when we otherwise believe in good faith that the provision of such information is required or permitted by law, such as in connection with the investigation or assertion of legal defenses or for compliance matters. When you make a payment or donation, we collect information to process the financial transaction and may use that information to contact you in the future about The Y and its programs. Your payment information is transmitted to us, using a secure Internet method that helps maintain the privacy of this information. During the time your payment information resides on our computers, it is in an encrypted format and can only be accessed by authorized personnel with a decryption key. “Cookie” technology: A cookie is an element of data that a website can send to your browser, which may then store it on your system to help enhance your experience in using our sites and to provide us with technical information about your usage. IP address tracking: An IP address is a number that is assigned to your computer when you are on the Internet. When you request pages from our Sites, our servers log your IP address. Web beacons: A web beacon, or “clear gif,” is a small graphic image on a webpage or web-based document that a website can use to determine information about a user. Non-personally identifiable information might include the browser you use, the type of computer you use, technical information about your means of connection to our websites (such as the operating systems and the Internet service providers utilized), and other similar information. Our systems may also automatically gather information about the areas you visit and search terms you utilize on our websites and about the links you may select from within the sites to other areas of the World Wide Web or elsewhere online. Although an industry-standard do-not-track (DNT) protocol has not yet been established, The Y’s information collection and disclosure practices and the choices it offers to consumers will continue to operate as described in this Policy. We use non-personally identifiable information for our purposes related to running YMCAs and their programs, and, in particular, to administering websites, and, in the aggregate, to determine what technologies are being used. We may also share aggregate, non-personally identifiable information with third-parties. health information in connection with various fitness programs, programs in which we are responsible for supervising children, health screenings, or other health service events that we may provide from time to time. Access to sensitive information is restricted to those individuals who have a legitimate need for access. We will not use or disclose your information to third-parties unless such disclosure is necessary to accomplish the purpose for which the information is collected. We are mindful that young people need special safeguards and privacy protection. We realize that they may not understand or be able to meaningfully consent to the provisions of our policy or be able to make thoughtful decisions about the choices that are made available to our adult users. We strongly urge all parents or legal guardians to participate in their children’s exploration of the Internet and any online services and to teach their children about protecting their personal information while online. maintaining reasonable procedures to ensure the confidentiality, security and integrity of the personal information collected. minors visit our facilities without a membership, where we may collect information about them to be able to contact their parent or legal guardian to notify them of an injury or other issues involving the minor. Users may find other content on our websites that link to the sites and services of other third-parties. We do not control the content or links appearing on these sites. Third-party sites or services, including their content and links, may be constantly changing and may have their own privacy policies and customer service policies. We encourage you to review the privacy policies of any third-party sites or services before providing any of them with your personal information. If you opt-in to receive information from us, you can change your mind later. If at any time you would like to stop receiving such information or opt out of a feature, you may change your options by contacting hello@FirstCoastYMCA.org or 904.265.1775. You should be aware, however, that it is not always possible to completely remove or modify information in our databases and servers, although we will make reasonable efforts to do so upon your request, and we are unable to have your information removed from the records of any third-party who has been provided with your information in accordance with this policy. You may contact The Y with inquiries or complaints regarding the use of information about you. We will use reasonable efforts to grant reasonable requests to access data about the requester. We will also make reasonable requests to correct any incorrect or misleading data about the requester. YMCAs take appropriate administrative, technical, and physical measures to safeguard against unauthorized processing of personal information, and against the accidental loss of, or damage to, personal data. However, The Y cannot provide an absolute guarantee of the security of any of our websites or any other site on the Internet. 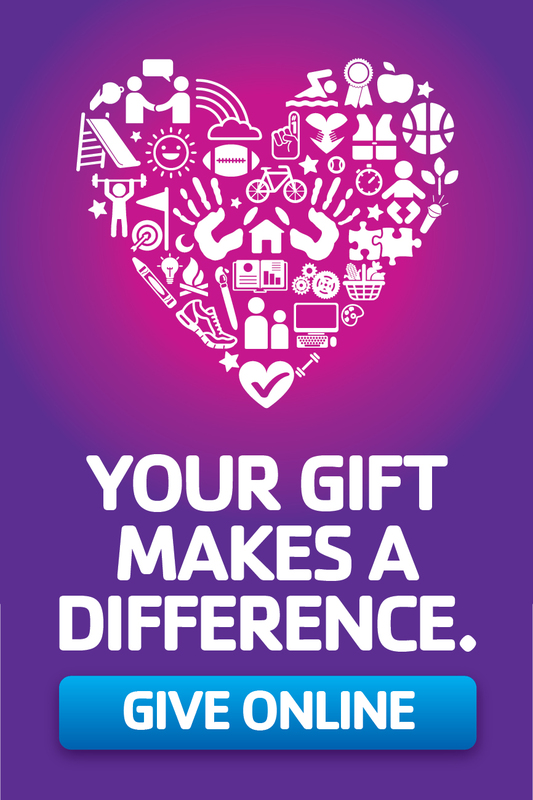 YMCA websites are operated in the United States. If you are located outside of the United States, please be aware that any information you provide to The Y will be transferred to the United States By using YMCA websites, participating in any YMCA services, and/or providing us with your information, you consent to this transfer. You can update your personal information by emailing us at hello@FirstCoastYMCA.org or via a written request mailed to: Kathy Cannon, 40 East Adams Street, Suite 210, Jacksonville, FL 32202. Please do not send Social Security numbers or other sensitive information to us via unencrypted email. Mission Statement: To put Christian principles into practice through programs that build healthy spirit, mind and body for all.